Delegation to include Islamic Jihad, Hamas terrorists; is a cease-fire imminent? Palestinian Authority (PA) Chairman Mahmoud Abbas is to head a team - including Hamas - for talks in Cairo on sealing a Gaza ceasefire between the Islamist terror movement and Israel, an official told AFP Monday. 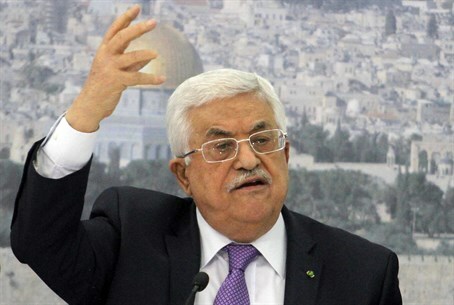 "Abbas is forming a Palestinian delegation including Hamas and Islamic Jihad representatives to meet Egyptian leaders and discuss a halt to Israel's aggression against Gaza," said the senior official in Ramallah, where the Abbas-led Palestinian Authority is based. "The aim is to examine with Egyptian leaders how to meet Palestinian demands and put an end to the aggression and protect the Palestinians," said the source, declining to be named or to give a date for the mission. Additional sources told Israeli daily Walla! Monday afternoon that talks with Egypt would commence later that day. Hamas leader Khaled Mashaal declared on Wednesday that Israel must accept his list of unprecedented conditions for a ceasefire in order for any truce to be implemented. Many of the demands include, effectively, lifting all travel and import restrictions in Gaza and re-releasing arrested terrorists. Hamas, which has rejected not one, but three separate ceasefire attempts ,called on Israel over the past week to submit to a number of 'conditions' - or demands - in return for an end to the violence against Israelis. The calls were accompanied by threats against the Israeli people, made through a series of weakly-worded text messages. Despite the current round of discussion over a cease-fire - during which ministers have indicated that the operation is coming to a close - Hamas and Islamic Jihad terrorists have continued to fire rocket after rocket on Israeli civilians.